We make every attempt to make your first visit to our office as comfortable as possible. After entering our lobby, you will be greeted with a friendly smile by Jill or Lisa, our receptionists. They may ask you to complete some patient forms or collect the forms you have completed prior to your consultation. Dr. Movassaghi will meet with you personally at your first consultation. Before evaluating your area of concern, he will introduce himself and get to know a little more about you and what led you to visit with him today. He will answer your questions and discuss the potential results of the procedures that interest you. With one of our experienced nurses at his side, he will examine your area of concern and describe to you the procedure options he recommends. 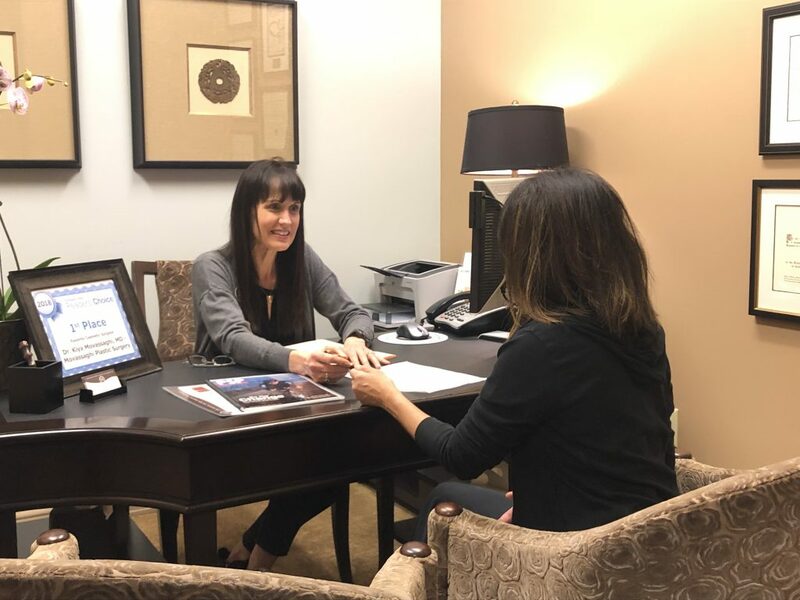 Depending on the procedures you are interested in, Dr. Movassaghi may recommend taking preliminary “before” photographs to assist him in designing your procedure plan. If you are considering a breast enhancement procedure, Dr. Movassaghi may guide you through breast implant choices to help you decide what options will best meet your needs. Before concluding the consultation, he will make sure all of your questions have been addressed, and will explain to you the next step in your personal surgery process. After consulting with Dr. Movassaghi, you will meet with our Patient Coordinator, Lisa. She will answer any additional questions you may have, go over our office policies, and help you plan your surgery. If you are interested, she will guide you through your options for financing a cosmetic surgery procedure. If you are ready to schedule a date for surgery, Lisa will be happy to book a date that will best fit into your plans. If you would like to think some more before scheduling surgery, she will instruct you on following up when you are ready.